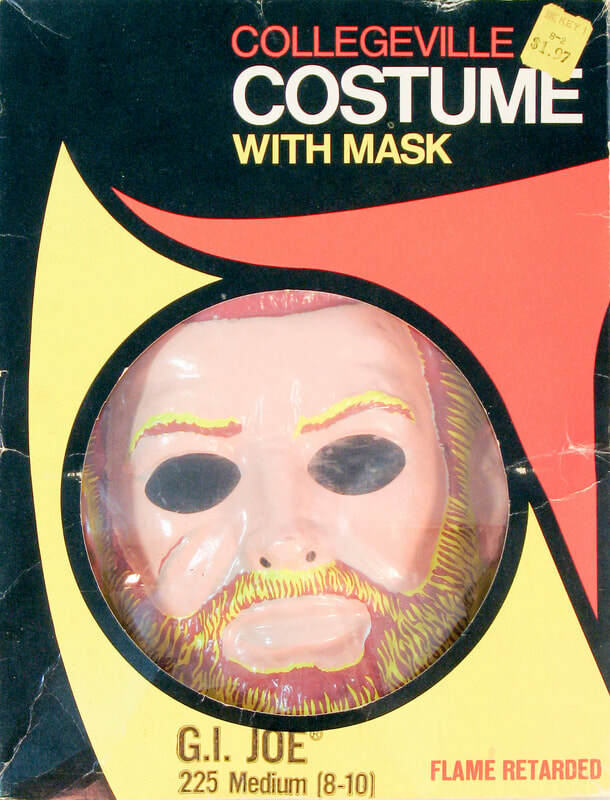 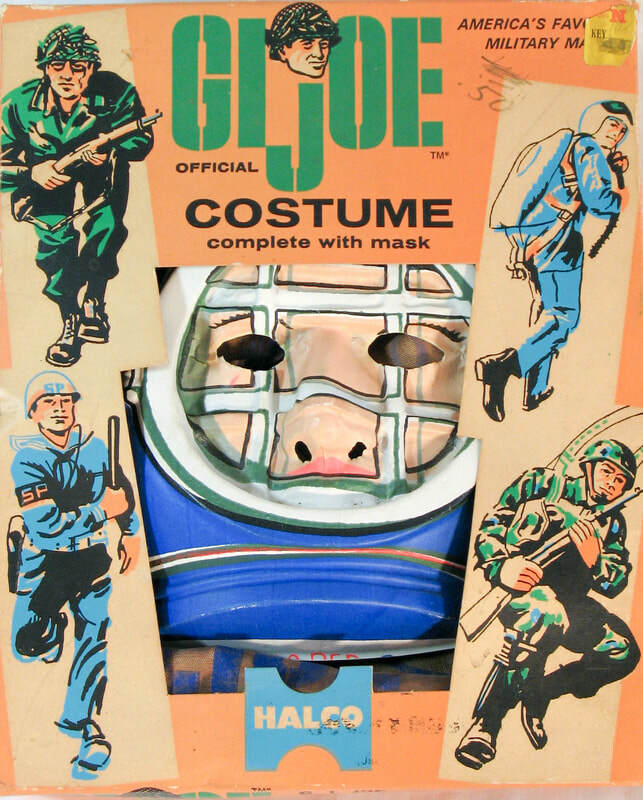 'Children's costumes are a longtime staple of the toy industry. 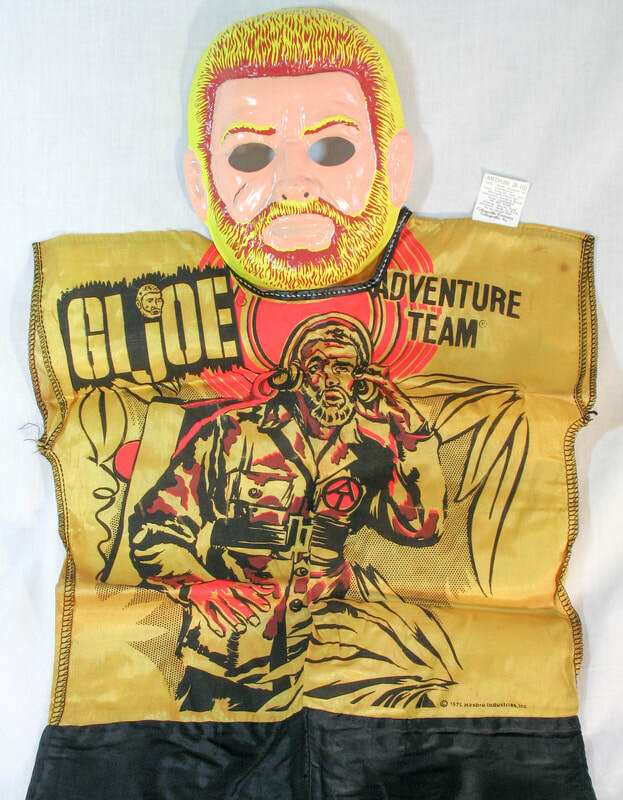 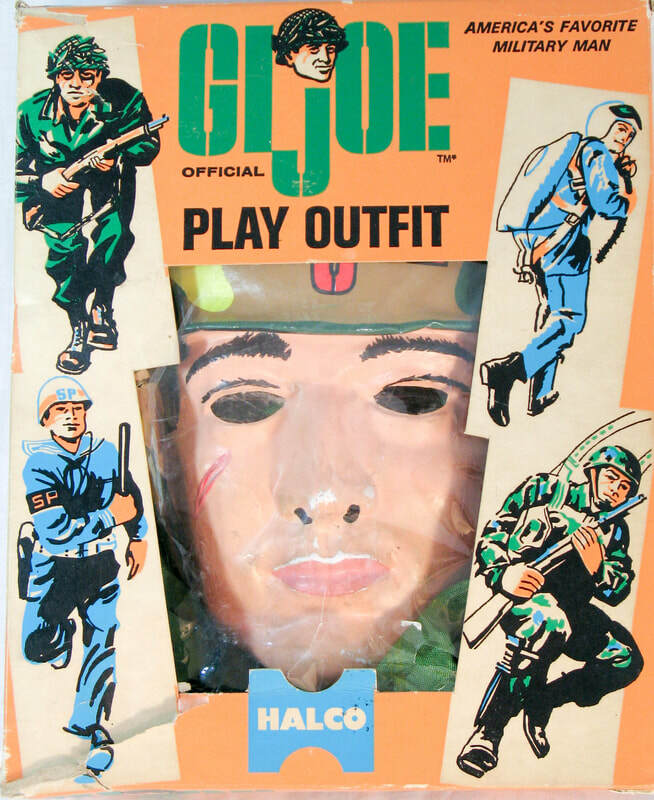 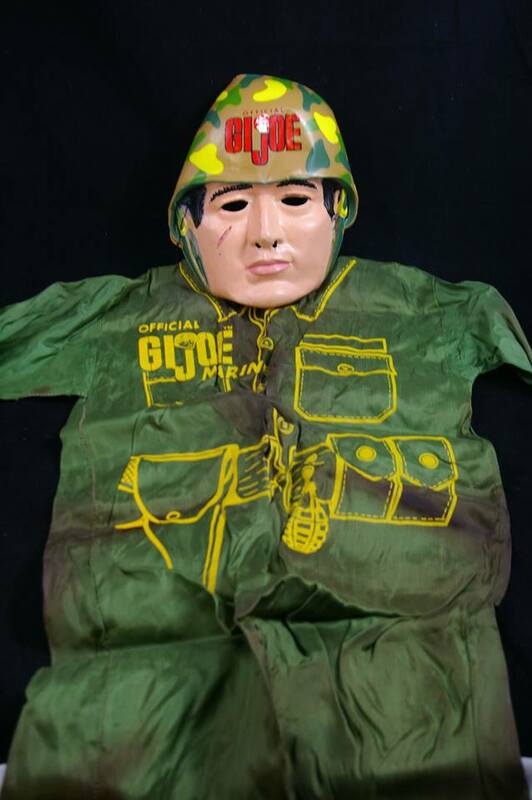 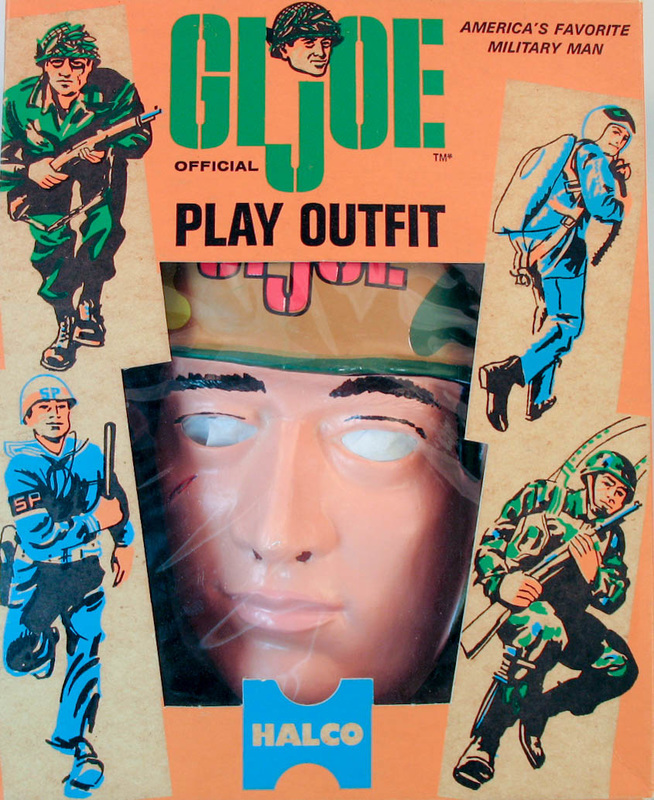 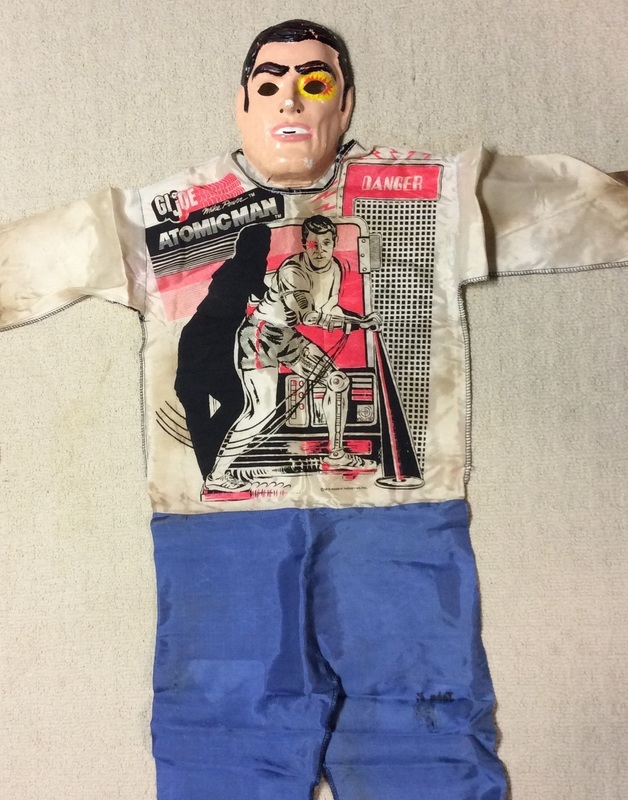 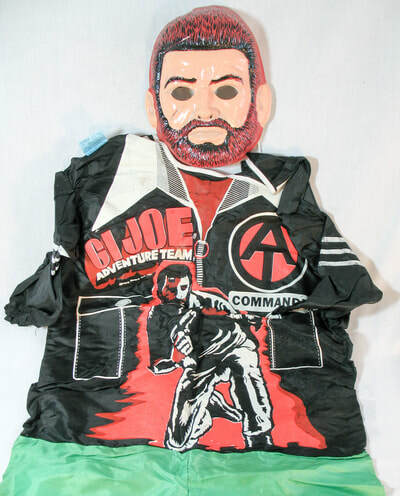 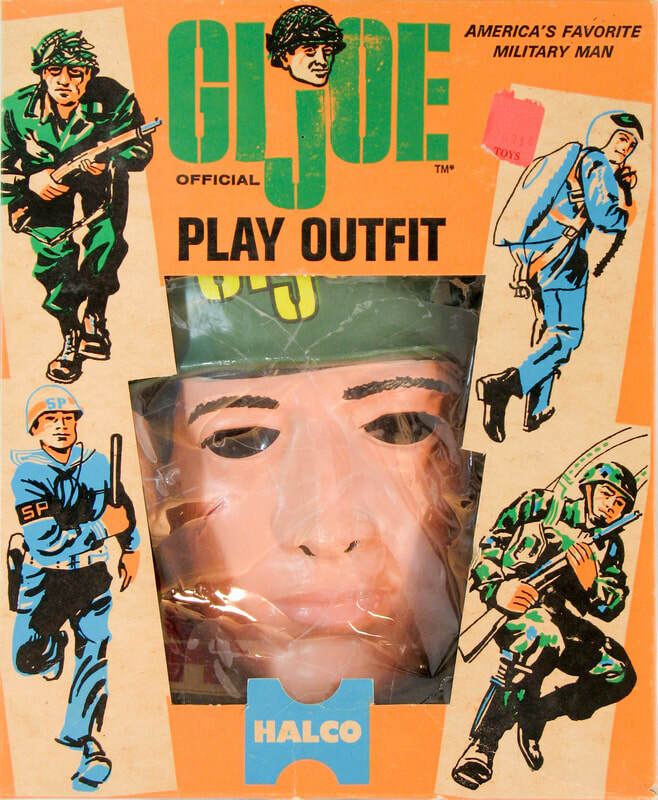 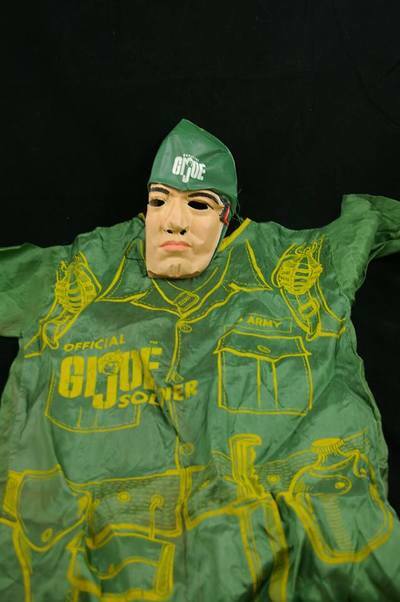 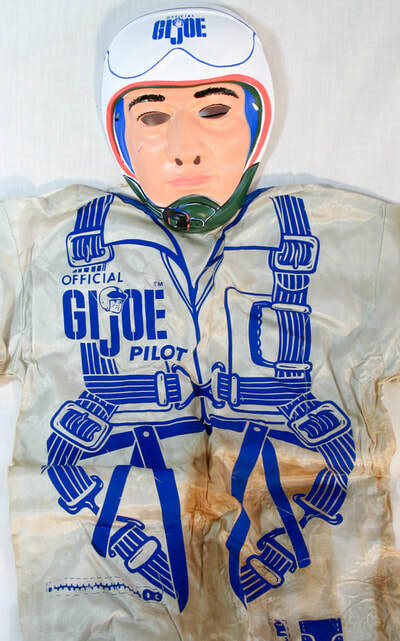 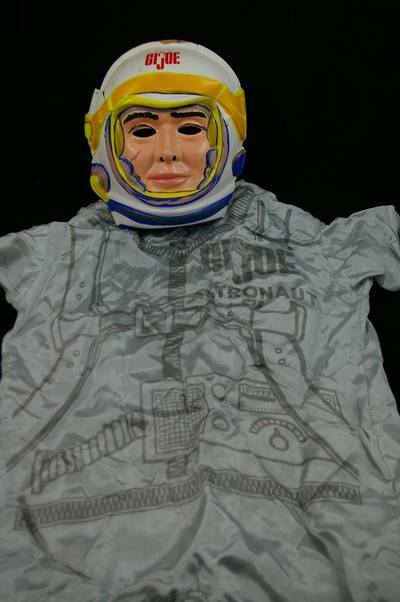 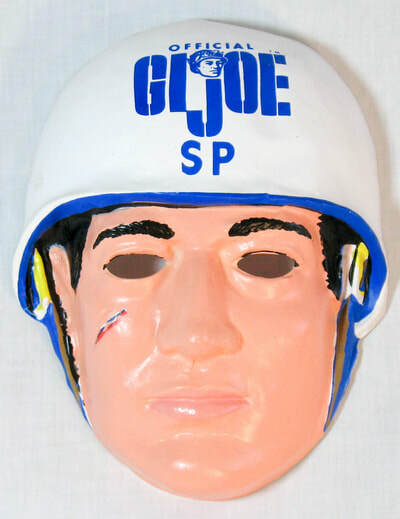 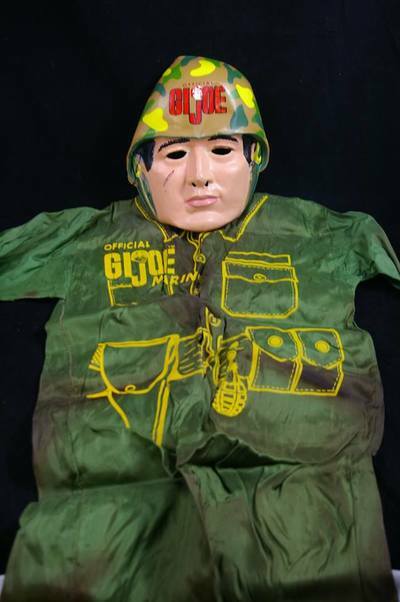 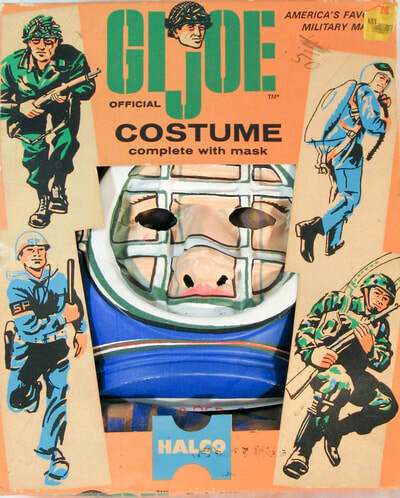 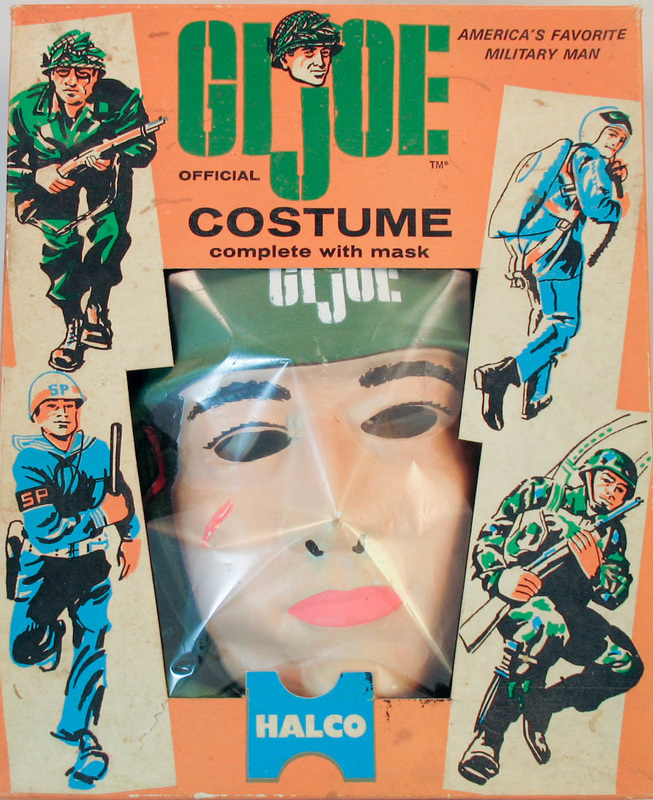 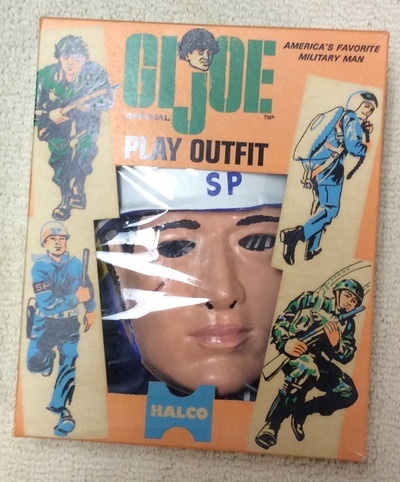 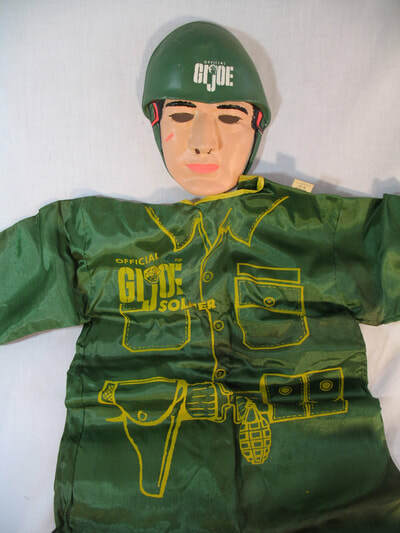 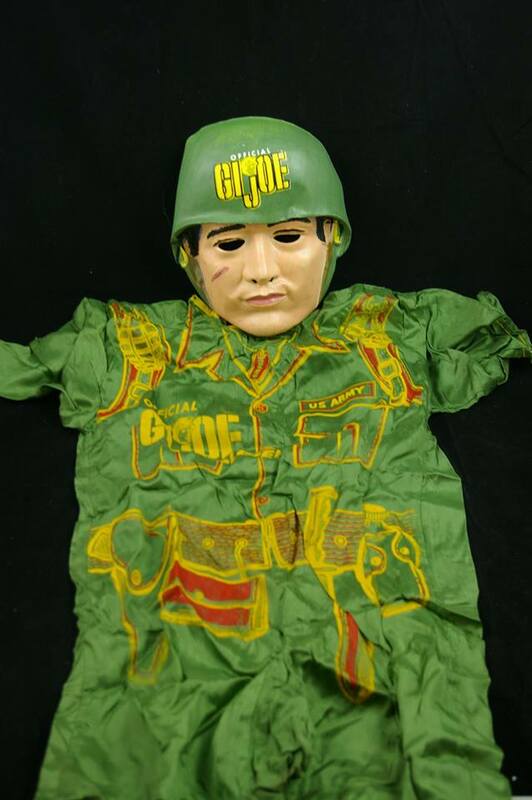 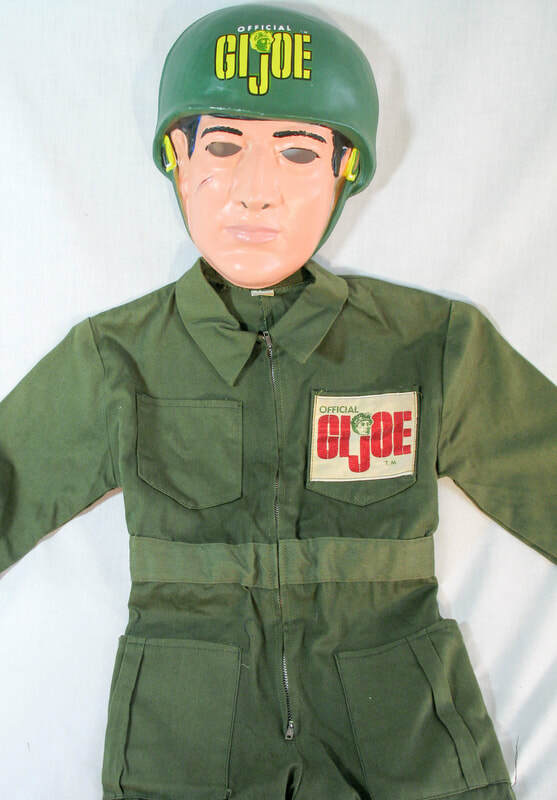 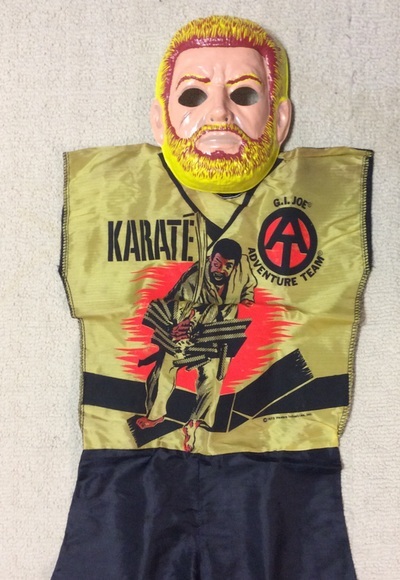 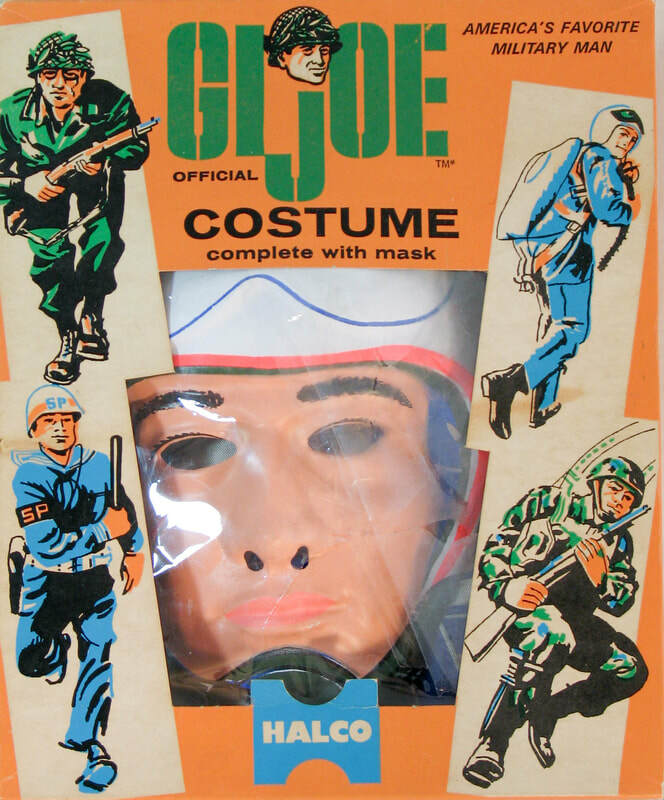 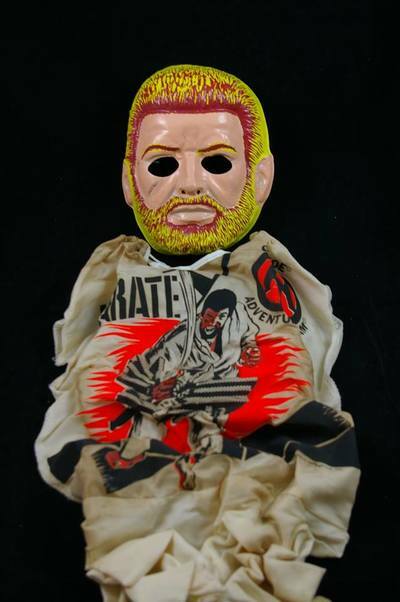 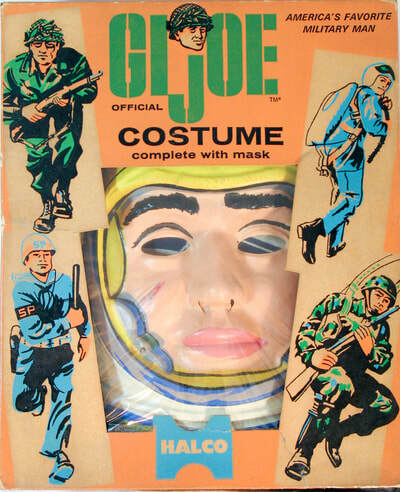 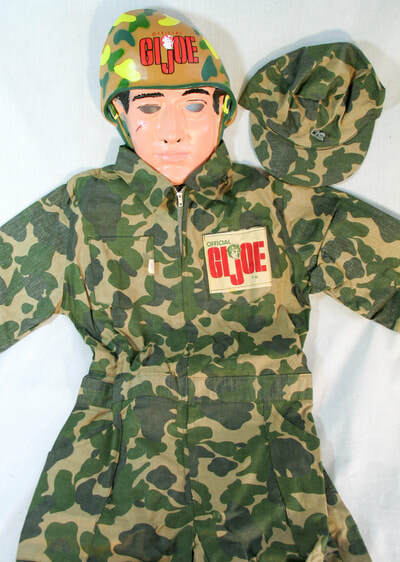 In the early years Hasbro developed licensing arrangements with Halco (who also made GI Joe cap gun sets) to manufacture both durable cloth play suits and Halloween costumes with GI Joe themes. 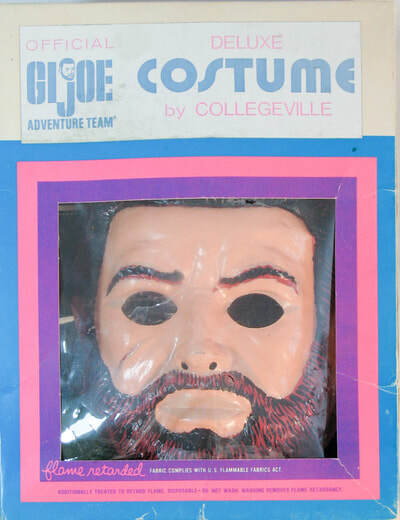 During the 70's, Adventure Team costumes were made by Collegeville. Thanks to Chris Short and Steve Stovall for sharing many images. 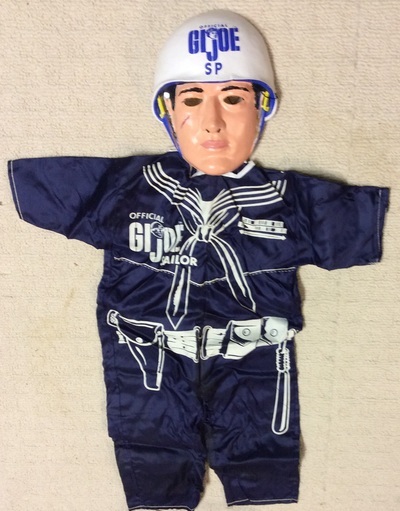 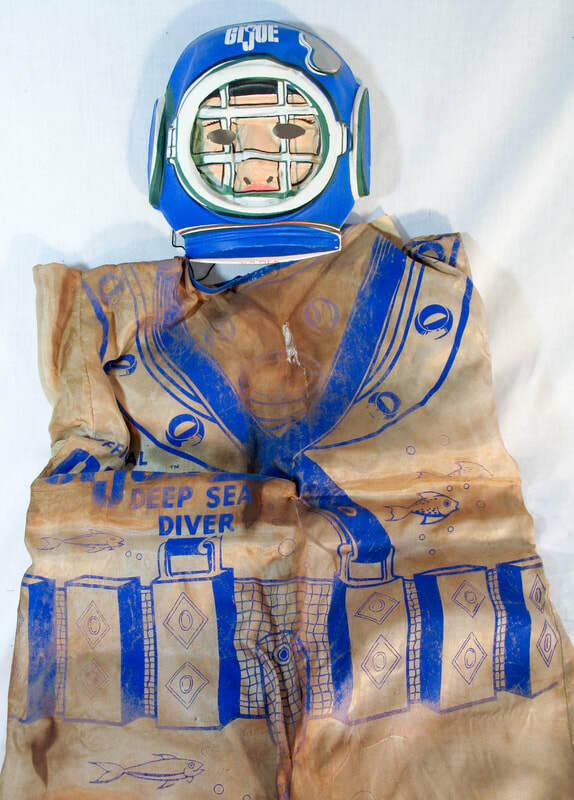 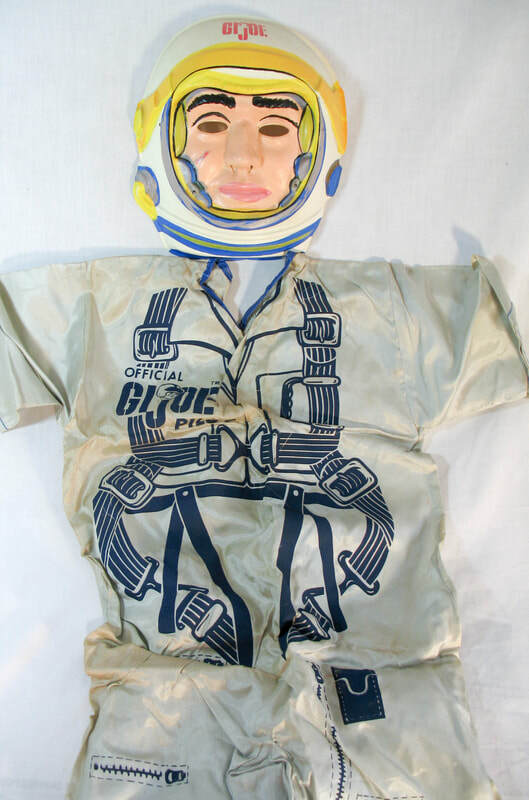 If you have others to share, like the cloth Pilot play suit, please contact me. 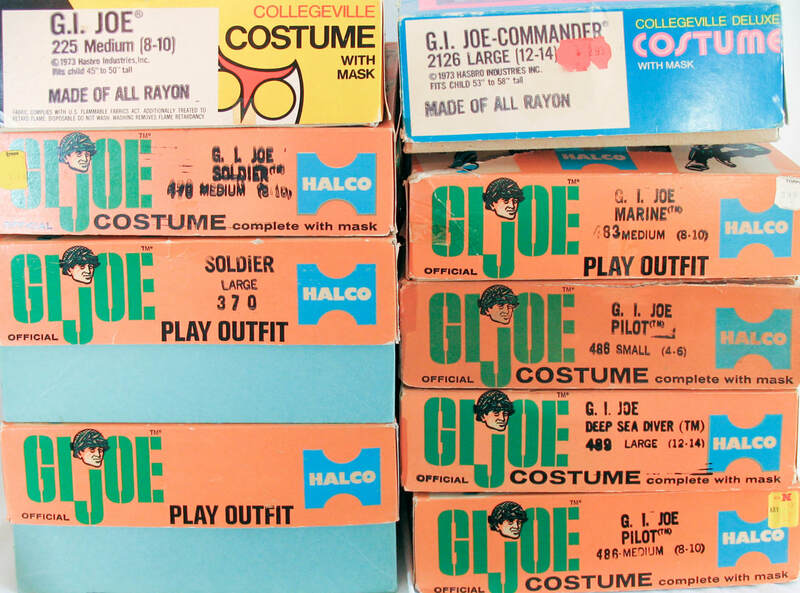 Click on the images to see enlarged versions!